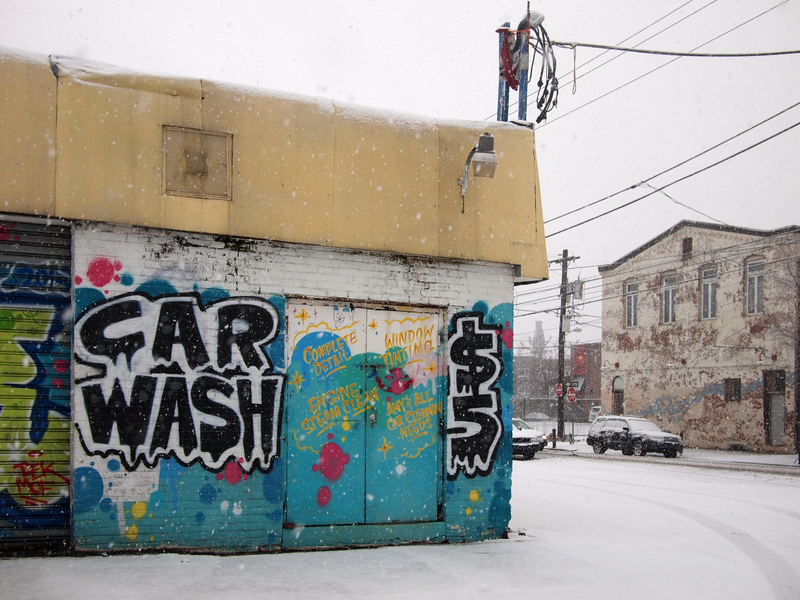 There is little mystery about this business at Norris and Frankford. Behind, a water-themed mural from the Mural Arts Program’s Norris Passage project and the landmark Harbison Milk Bottle water tower, 03 February 2014. 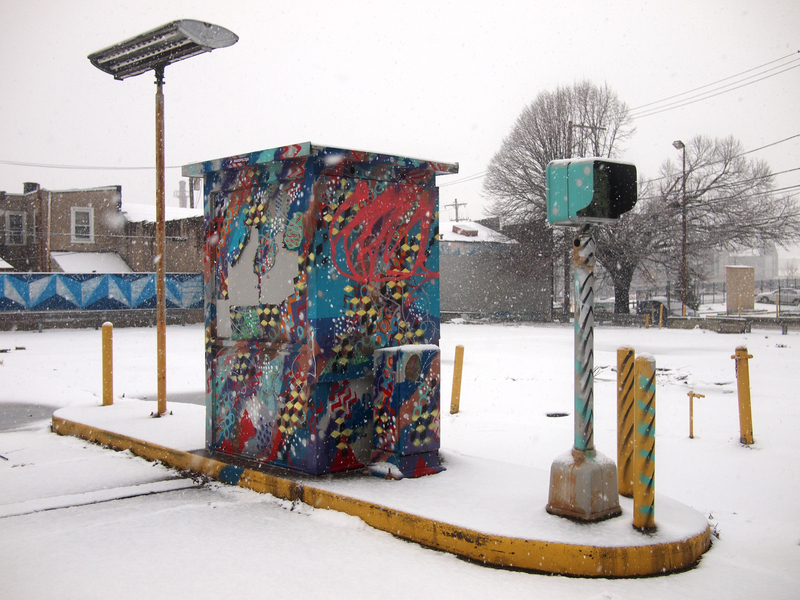 Fishtown-bedazzled attendant booth at a forever empty parking lot, 03 February 2014. 04 Feb	This entry was published on February 4, 2014 at 8:32 am and is filed under Fishtown, Philly Signage. Bookmark the permalink. Follow any comments here with the RSS feed for this post.